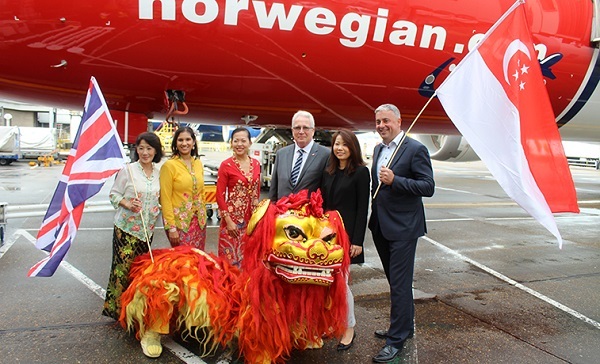 A new era for long-haul travel began last week as Norwegian surged into the UK – Far East market with a four-a-week Dreamliner service between Gatwick and Singapore. At 12hr 24min, It is the world’s longest low-cost flight. The launch crowned a significant week for Norwegian after the US Department of Transportation granted a foreign air carrier permit to the airline’s UK subsidiary, Norwegian UK (NUK), allowing it to operate flights between the UK, Europe and the US. Brilliant! !At the moment nobody really and truly OWNS the low cost/low fare platform in the UK-long haul routes. There is room for Norwegian to claim this position. There are low fares available (selectively and seasonally capacity controlled) but there is no KING of the LOW FARES. I do believe there is also a change in the way consumers approach buying products. There is less emphasis on “where” and “how” and more on “what” they buy. A few years ago, the low fare airline was always regarded as “also” in the market. Today they are rapidly becoming the brand by which all others are measured, a reversal of roles. The older carriers are regarded as big but no longer own the word IMPORTANT. The leaders are now the Low Cost/Low Fare airlines like Norwegian.